The Remote Users list shows who has access to this computer. 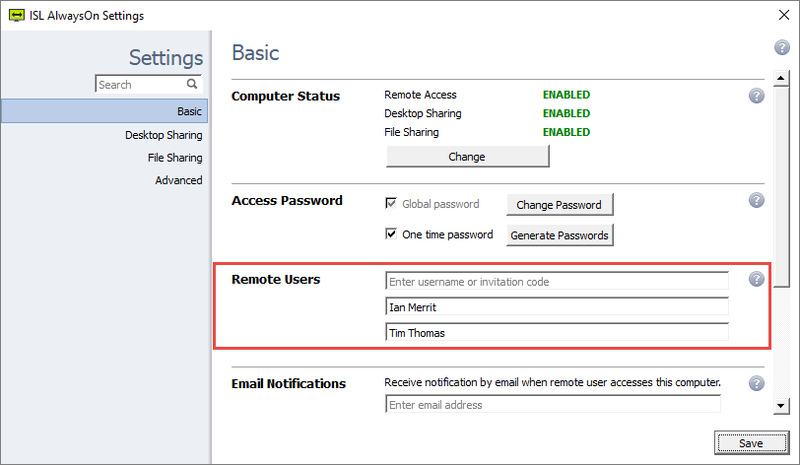 Enter username or invitation code or press the "+" button in the empty Remote Users row. Enter the username and password or an access code provided to you in the pop-up box that appears. The new user account will now be added to the list. 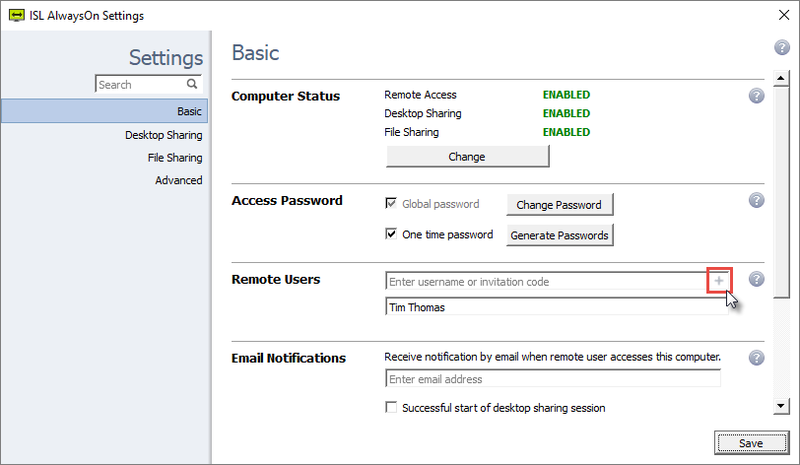 The connection settings area allows you to customize each user's accounts security settings, Notifications, Desktop sharing properties, ability to start recordings, and use filters asexplained below. Click the icon and "Change". Access Password: Select which kind of password is required from the user when accessing the remote computer. Please see the Security topic for more information. Notifications: Please see the Email Notifications topic for more information. 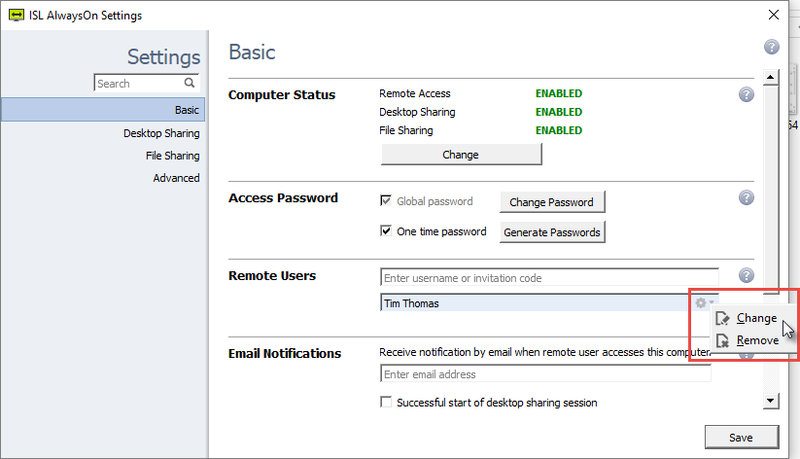 Desktop Sharing: Please see the Session topic for more information. Recording: Please see the Recording topic for more information. 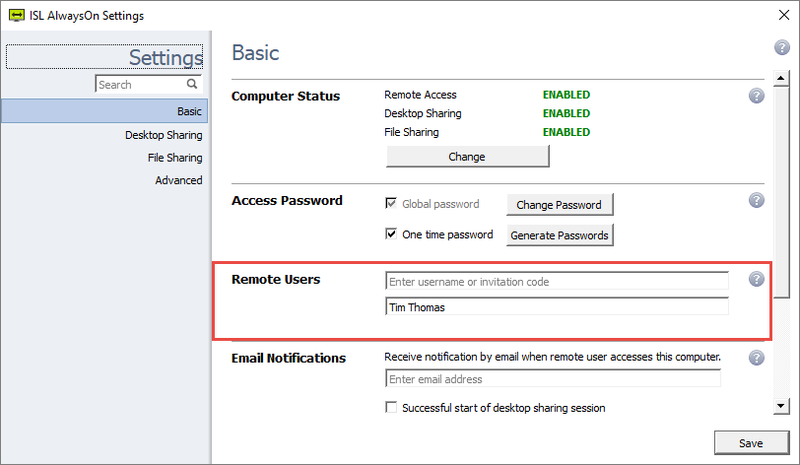 Important: Each user account is given its own password to access the ISL AlwaysOn settings for only their account. 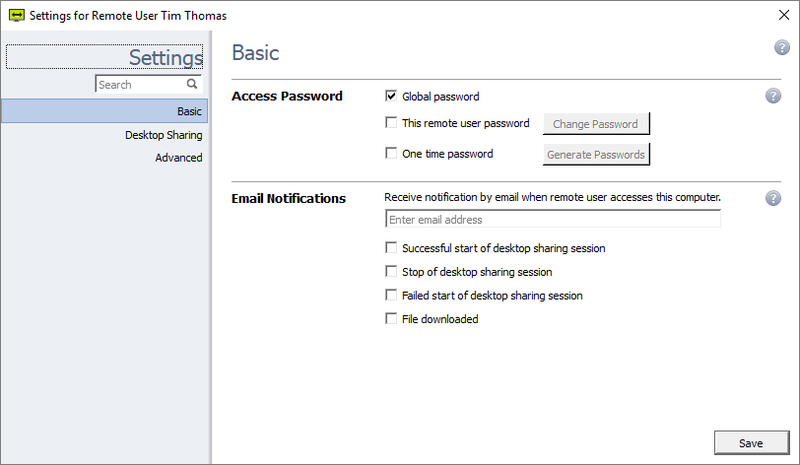 The administrator is the only person allowed to configure user accounts on the computer by using the Global Password.